Engaged or still searching for a destination wedding beach wedding gown? We’ve got ideas to help you find the perfect dress. After all, it’s all about The dress. So, if a wedding on the beach is in your future, you’ll want to take special care to pick the best dress for the elements. We asked Lindsay Mann, co-founder and fashion editor of Twirl New York to pick her favorite dresses from the 2017 collections that would work well for a beachy Bahamas bride. “The key is to focus on lighter fabrics,” says Mann. 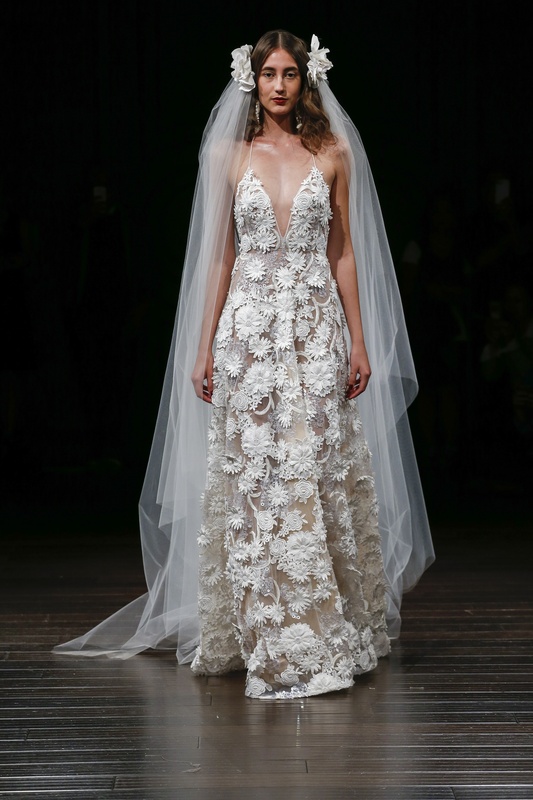 “Sheer styles, lace and silk chiffon are all great options for the low-key beach bride.” She does caution that layers of tulle can be problematic as sand or seaweed can get caught between the layers. 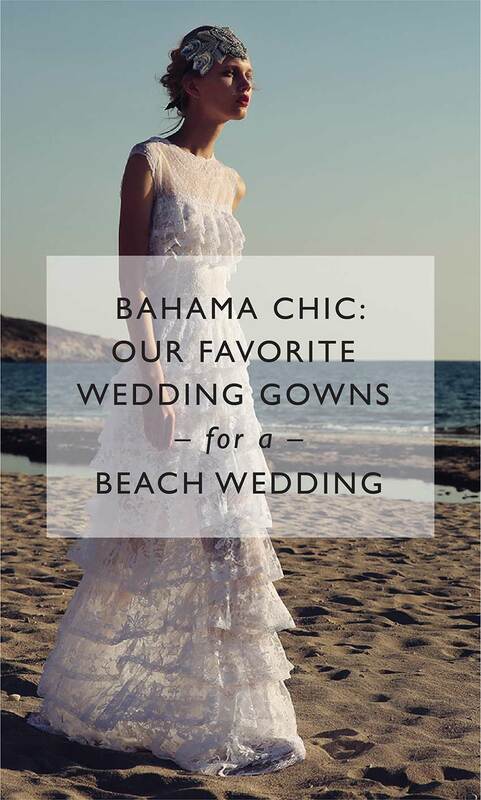 We hope you’ve been inspired and are well on the way to selecting the best gown for a Bahamas wedding. Chic Bahamas Weddings would be delighted to work with you to plan your wedding. Contact us today for a complimentary consultation.